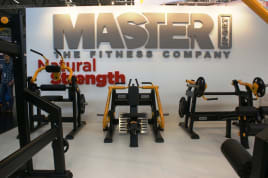 8 Plate Loaded machines Natural Strength! NEW and only 9559,00 € instead of 15320,00€ - Save more than 30% !!! Top quality directly from the manufacturer with 2 years warranty!! 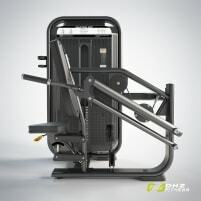 A triceps machine is strength training equipment for training of the arm stretching muscles. 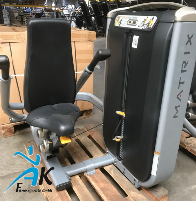 Exercising with this equipment strains especially the triceps muscles and is very suitable for beginners, because the upper body gets fixed. 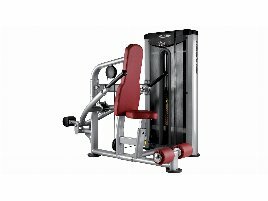 How does the training on a new or used triceps machine work? The training person sits on the seat padding and presses the upper body against the back rest. The feet need to stand firmly on the ground in shoulder width. 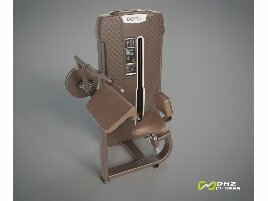 Now the athlete grasps the grips of the new or used triceps machine while his or her elbows are in a right angle position and the palms are directed to the own body. Now the trunk muscles need to be strained and the arms stretched against the resistance of the machine. However, the movement should only come from the arms which have to be stretched. However, the elbows should not be stretched completely to go easy on the elbow joints. In the end the grips should be let down slowly and concentrated until the athlete is in the starting position again. Like with all other exercises, it is important to do warming up in advance to avoid injuries. 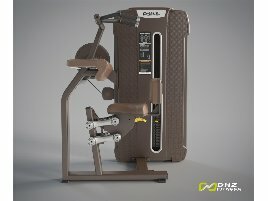 Beginners should do this exercise on the new or used triceps machine only with a training partner or fitness trainer who is able to control the weights and the training process. At the beginning the athlete should only use light weights and increase intensity only when the exercise technique is mastered perfectly. You prefer training at home and don’t have enough time to go to a gym? This is not a reason to neglect training on a new or used triceps machine. 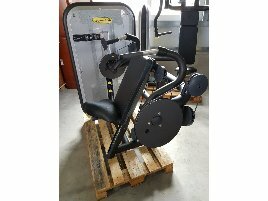 On fitnessmarkt.com you can find a wide range of new and used training equipment. In any case you should get advised by an expert before using new fitness equipment as well as do warming up to avoid injuries. 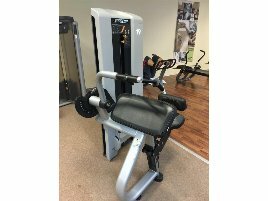 Are you closing down a gym and want to sell used triceps machines? 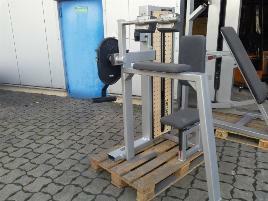 On fitnessmarkt.com you have the opportunity to insert used or new fitness equipment. 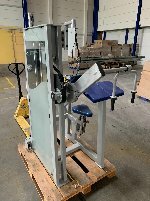 A detailed description as well as some pictures of the new or used triceps machine are recommendable so the prospective buyer has the most important information just at a glance. In our magazine you can find useful trainings tips for training with triceps machines.